After recent illness has sidelined my reviews of baking mixes during baking month, I'm finally back on track and ready to share more reviews of baking mixes. 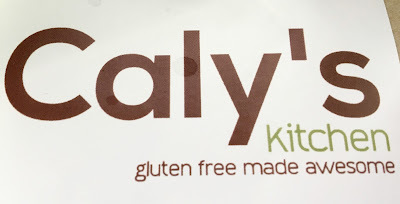 This post is the first a two-part review of Caly's Kitchen mixes, which are gluten, potato, soy, and preservative free. The company was founded by a mom who wanted to develop baked goods that rivaled the gluten-laden ones off limits for her celiac daughter. What resulted is this line of celiac-safe mixes with an eye for those with multiple allergies. In the lead up to baking month, Caly's Kitchen generously sent me some mixes to sample, so I couldn't wait to put them to the test in my dorm kitchen. 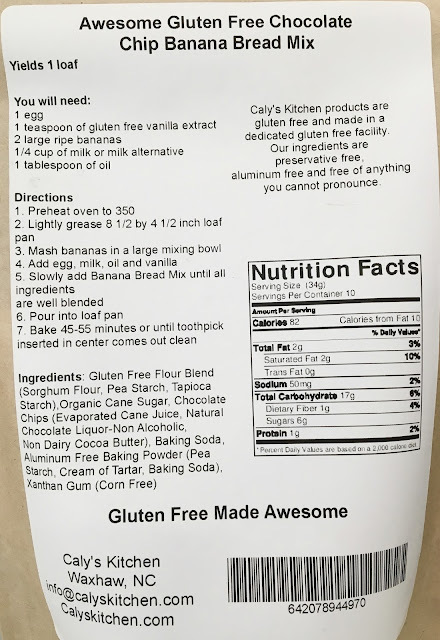 What's cool about Caly's Kitchen is that the mixes are made in a dedicated gluten-free facility and made in small batches to ensure that they are top-quality. In addition, all but the cornbread and pancake mix are dairy-free. This first review covers the non-cookie mixes I was sent: the chocolate chip banana bread mix and vanilla cake mix. 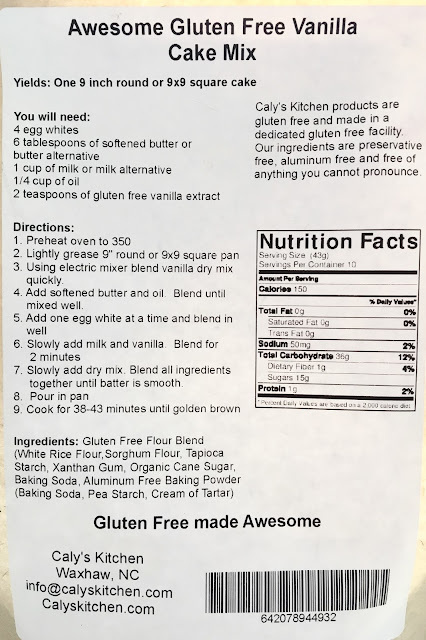 To prepare this mix, the additional required ingredients are not too outrageous which I appreciate as a baker tired of buying unique ingredients I can only use once. I did not use an egg substitute since I can have eggs, but did use almond milk and canola oil as my oil and milk choices. The mix came together nicely, and soon made it's way into the oven to bake. 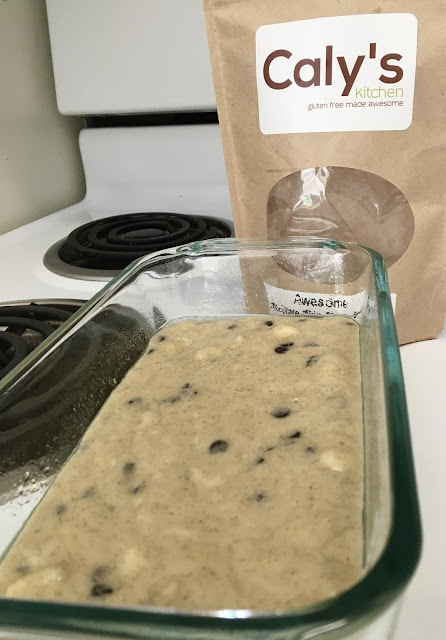 The instructions say to put it in for 45-55 minutes, so I prepared to wait for the batter to turn into a golden brown banana bread. 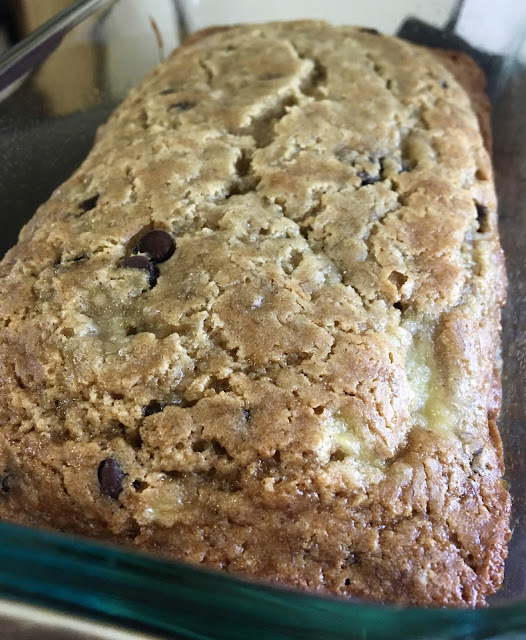 Similarly to the banana bread mix, the cake mix calls for commonly found ingredients, but here the preparation process is a bit more involved. For dairy-free substitutes, I used Earth Balance soy free butter sticks and almond milk in place of butter and milk. I also used egg in this recipe, versus and egg replacer. Because I knew I didn't want a full 9" cake, I decided to split the mix into a dozen cupcakes. Because the instructions didn't outline how long to bake them, I kept my eye on them until they were golden brown and a toothpick came out clean. They emerged absolutely picture perfect, and I was quite proud of my handiwork. The cupcakes themselves are simple and sweet, unpretentious and perfect for any celebration you might have. Moist but not too dense or crumby, they definitely did not scream "gluten-free" in a bad way as some cupcakes tend to do. 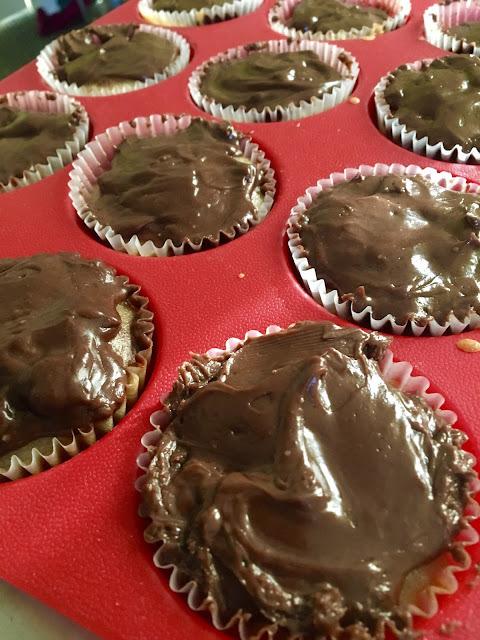 I topped my cupcakes with Dollop's vegan hot chocolate spread, which added a contrasting chocolatey flavor that elevated the cupcakes to a new level of indulgence. Stay tuned for a review of this line of vegan, gluten-free frostings. Overall, I really liked both mixes, though the banana bread totally made the biggest impression. In part two, I'll review the cookie mixes I was sent, and am eager to see how they perform in that test. 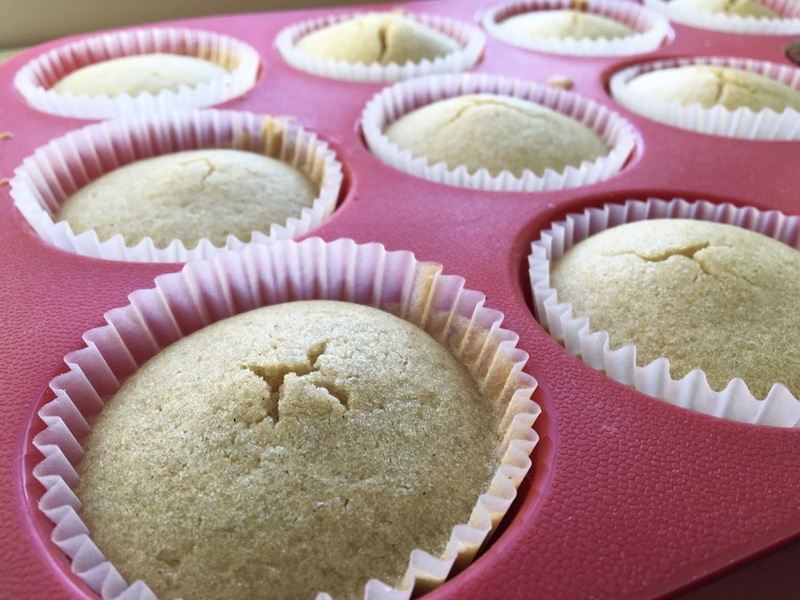 Although I had not heard of Caly's Kitchen before reaching out to them, they are now definitively on my radar for brands I can rely on and trust for fabulous baked goods. For more information about Caly's Kitchen, click here. Order the mixes on their own online store, or find them on Amazon. Disclaimer: This review is current to the original publication date. Updates will be noted. Ingredients and manufacturing processes can change without notice. Each product should be reviewed for individual nutritional needs. Feel free to to contact me with any questions or comments. Caly's Kitchen sent me samples free of charge for review purposes, but the review is a reflection of my personal opinion.